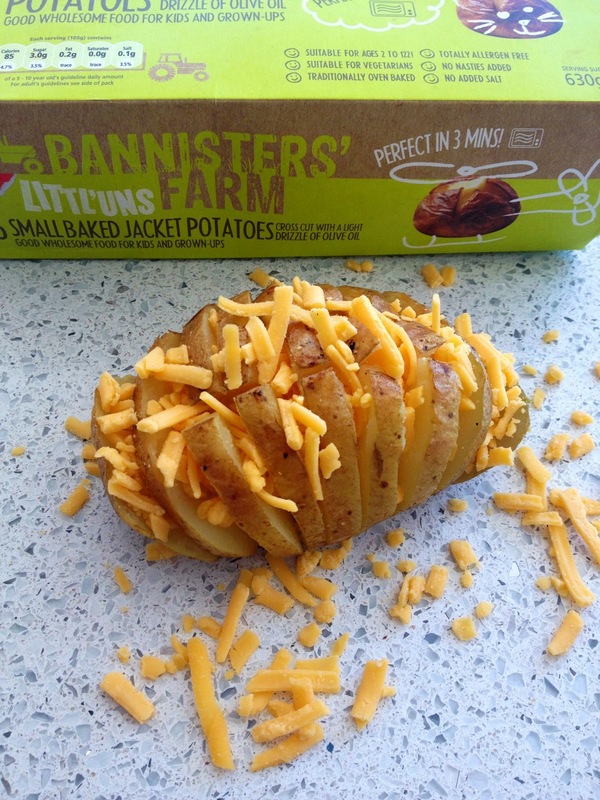 I've recently been working on a recipe development project for the Bannisters' Farm range of frozen baked jacket potatoes. These have now gone live on their own website so I can share them with you here too. They are all perfect for quick after school weekday suppers when you're rushing to get the kids in from school, homework done and out to an activity. 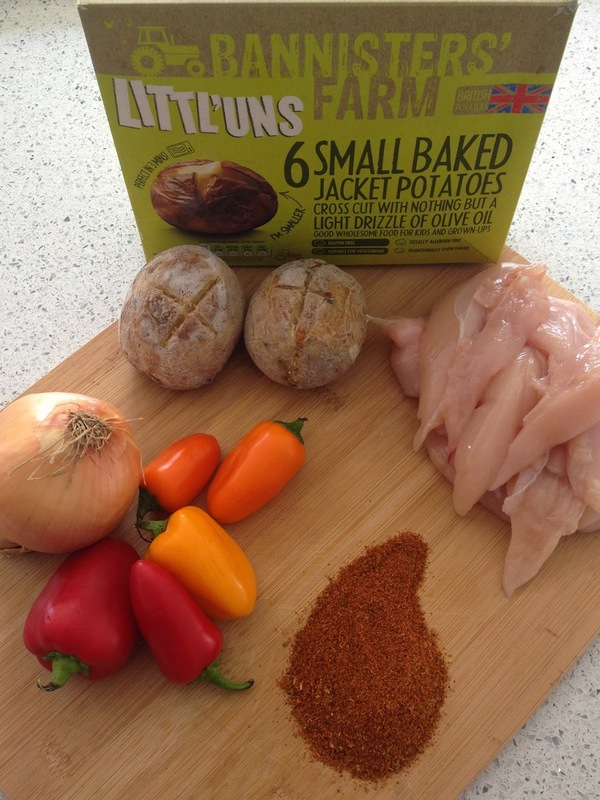 Give your Littl’uns a Mexican twist with these Chicken Fajita Baked Jacket Potatoes. Those who want a really spicy kick could add Jalapenos to the mix! 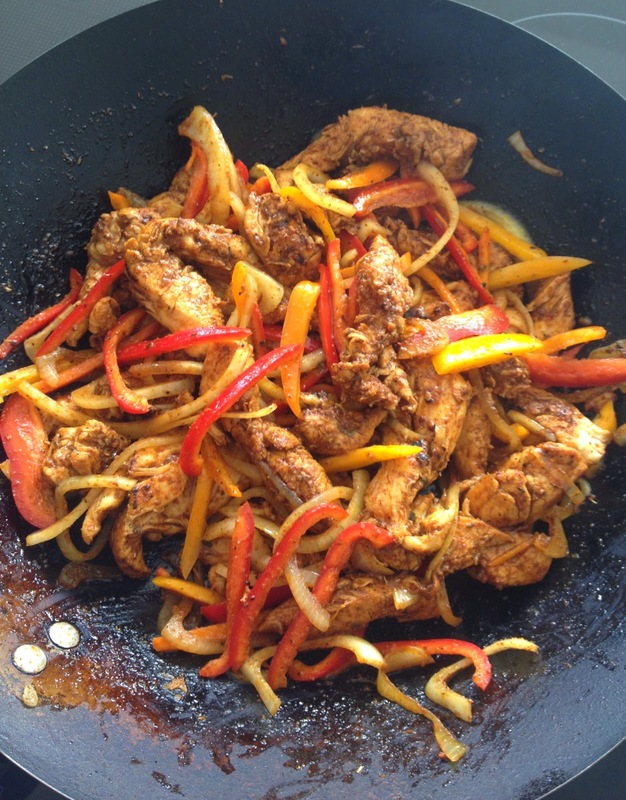 Meanwhile slice the chicken into thin strips and place in a bowl along with the oil and fajita seasoning. Mix well to ensure the meat is evenly coated. Thinly slice the onion and peppers. Heat a heavy based frying pan until very hot and add the coated chicken. Fry for 3-5 minutes until well browned. Add the onions and peppers and cook for a further 2 minutes or until the meat is cooked but the vegetables still retain a crunch. Slice open the Littl’uns on their pre-cut crosses and top with the fajita chicken. 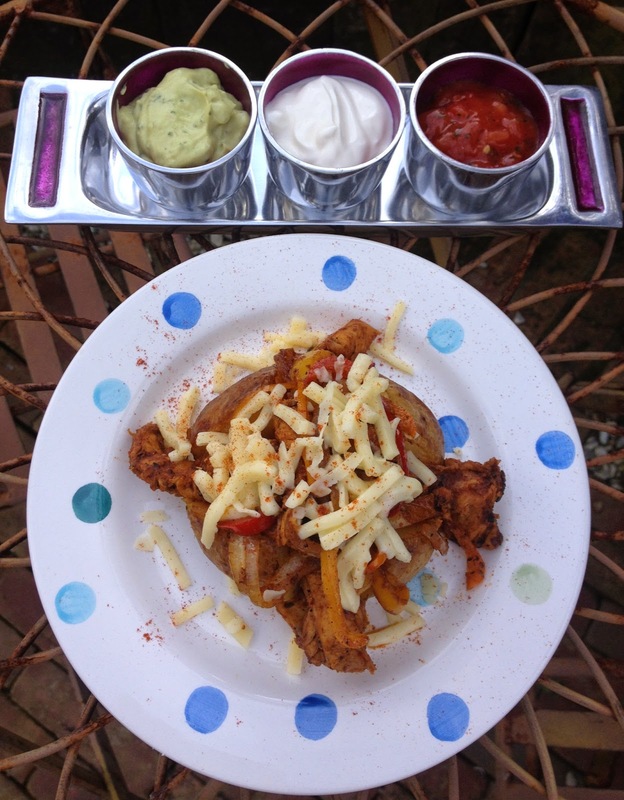 Serve with your favourite Mexican accompaniments. 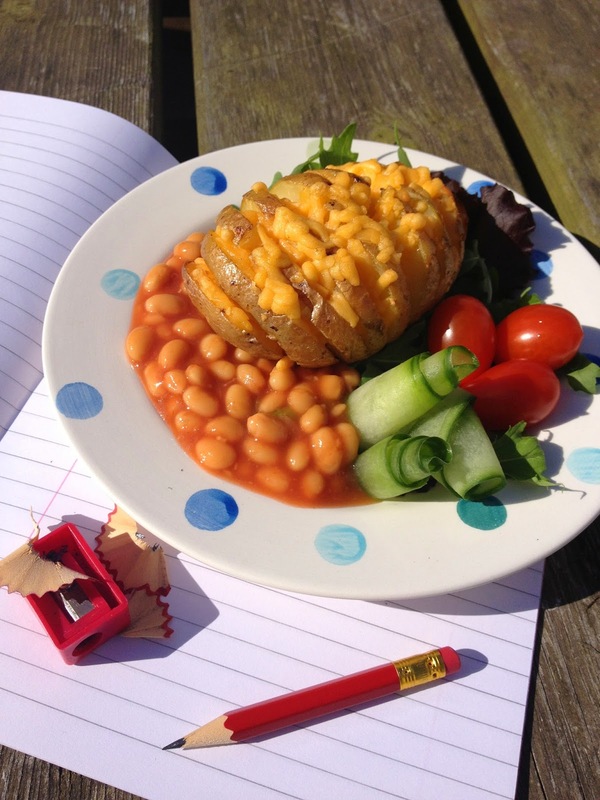 A twist on the traditional topping of baked beans and cheese these Hedgehogs have crispy potato spikes. Next slice the potatoes width wise to form the hedgehog spikes being careful not to cut all the way through. Place grated cheese in between the spikes, pop onto a baking tray and cook for a further 10 minutes in the centre of the oven or until the cheese is melted and the prickles are crispy. Serve the Hedgehogs nestled on top of warm baked beans surrounded by salad. The classic French salad dish in Baked Potato format. Leave out the olives and tomatoes for those who aren’t keen or add in green beans and anchovies for complete authenticity. Slice the top 1/3 off each potato and cut it into two wedges. Scoop out some of the inner flesh from the bottom 2/3 of each potato to give you enough room for an egg. Add salt, pepper and a knob of butter to each cavity before cracking in an egg. 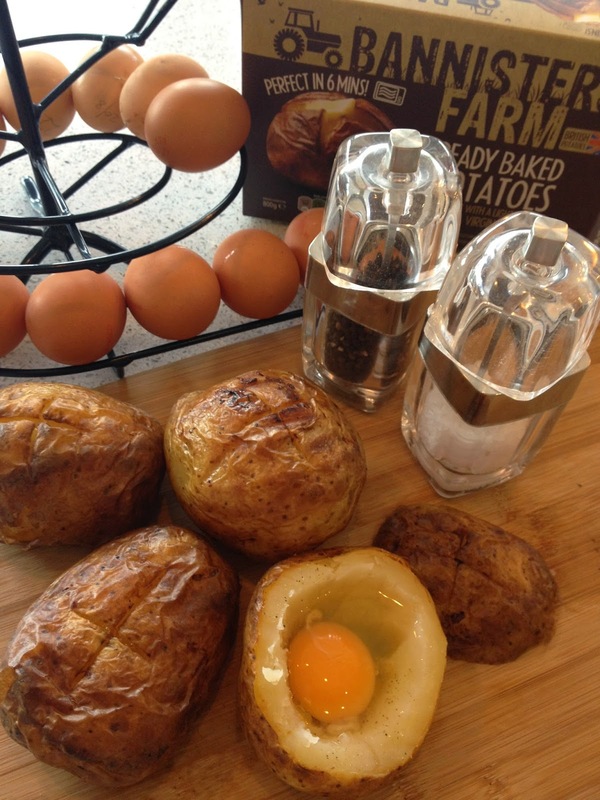 Place the egg filled potatoes and wedges on a baking tray and cook in the centre of the oven for 12 minutes until set. Meanwhile mix together the drained tuna and scooped out potato flesh with the mayonnaise, olives, tomatoes and seasoning. 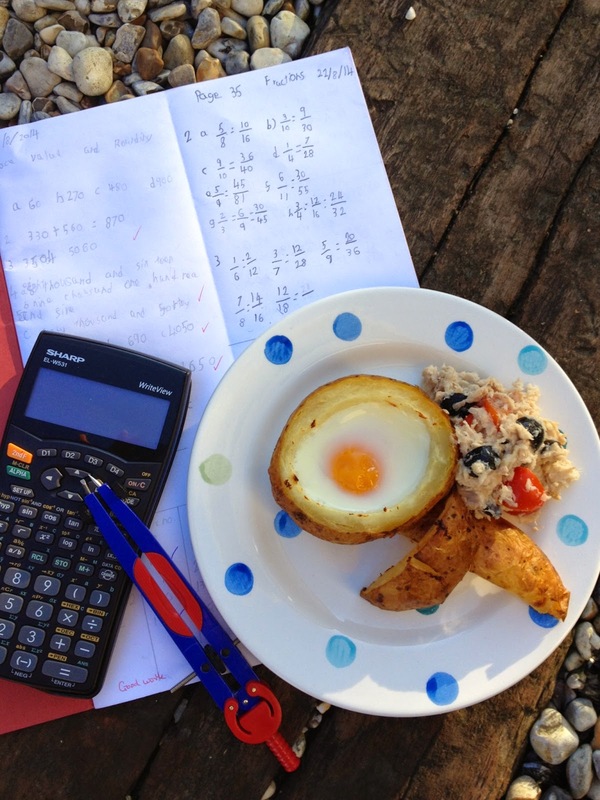 Serve the potatoes topped with the tuna mixture and use the wedges as soldiers in the dippy egg. Disclosure: This was a paid recipe development project. Bannisters' Farm provided the ingredients and have compensated me for my time.